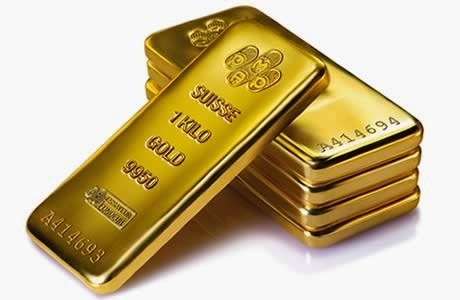 The gold price extended recent weakness on Tuesday losing sight of the psychologically important $1,300 level as investors rotate out of the metal into surging stocks. On the Comex division of the New York Mercantile Exchange, gold futures for June delivery settled at $1,281.10 an ounce, down $7.0 from yesterday's close. 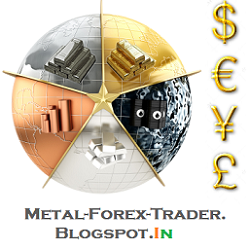 Earlier in the day the gold price fell to levels last seen February 10 of $1,275 an ounce. In contrast the US benchmark stock index, the S&P 500 recorded its sixth straight session gain. Post-Easter trade remained thin with only 110,000 contracts changing hands against usual volumes of closer to 200,000 contract of 100 ounces each. "Instead the focus remain firmly on the United States, where earnings and economic data continue to indicate interest rates will rise sooner rather than later. "Hedge funds cut their net-long position back to February levels and total ETP holdings have dropped to a new 2009 low. So with the US healing, Chinese demand questionable and investment demand not showing signs of picking up, gold is back on the defensive." Latest data from US Commodity Futures Trading Commission show hedge funds and other large investors added to bets that the price of the metal would fall for the fourth week in a row. Short positions – bets that price would decline – held by managed money increased 15% to just under 28,000 lots in the week to April 15 according to CFTC data. At the same time long positions were cut by 4,766 contracts which translates into a 8.5% decline in the net-long positions held by commercial traders in the precious metal to 90,137 futures and options. Investors also continued to pull money out of the SPDR Gold Trust (NYSEARCA:GLD), the world's largest physically-backed gold ETF accounting for some 40% of total holdings in the industry. Holdings in GLD dropped to 792.1 tonnes or 25.46 million ounces on Tuesday, the lowest level since January and down almost 30 tonnes in less than three weeks. The world's physical gold trusts have experienced net redemptions of more than 800 tonnes collectively last year, with the value of precious metals assets investments falling by a record $78 billion in 2013.